NEW YORK - Viacom Inc.'s Comedy Central cable channel is posting every episode of "South Park" on the Internet to attract advertisers and give fans a legal way to watch the animated show online. 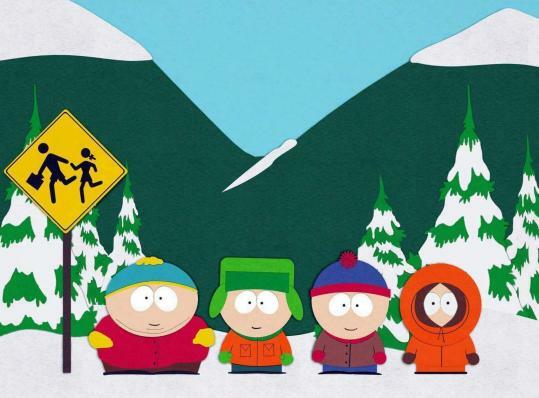 South Park Studios, a joint venture between Comedy Central and show creators Trey Parker and Matt Stone, is offering free, ad-supported videos of all 12 seasons of "South Park" on the show's website, the company said yesterday. "We got really sick of having to download our own show illegally all the time so we gave ourselves a legal alternative," Stone and Parker said in a statement. More than 3 million clips and full-length episodes have been viewed since the adult-oriented show about four foulmouthed Colorado kids went online March 19, the statement said. By comparison, the number of videos streamed on Comedy Central's website in January was 3.8 million, according to Reston, Va.-based researcher ComScore Inc.
Viacom, based in New York, rose 14 cents, or 0.35 percent, to close at $40.07 yesterday on the New York Stock Exchange. "There's a business there, although clearly it's in its infancy," Doug Herzog, MTV Networks' president, said in an interview. Web ad revenue from the episodes will be "smaller" than cable sales, he said, without giving an estimate. "We want to own the 'South Park' experience by offering people things that they won't be able to get anywhere else," Herzog said. The website will have blogs, games, news, and the ability to create avatars, or game characters, he said. New episodes of "South Park" will appear on the Web soon after airing on Comedy Central and will remain there for a week. After 30 days, the shows will return to the site permanently, the company said. The show is Comedy Central's highest-rated series, the company said. TV Guide describes it as "an animated adult series about four potty-mouthed, trash-talking grade schoolers living in a Colorado town." "This is clearly where TV is moving," ComScore analyst Andrew Lipsman said in a phone interview. "Online is a clear secondary channel for viewers now." Herzog said he isn't worried that the move will cannibalize DVD sales. "The idea that you go out and actually go to the store to purchase DVDs is a different experience than going to the Web, and snacking and sharing," Herzog said.